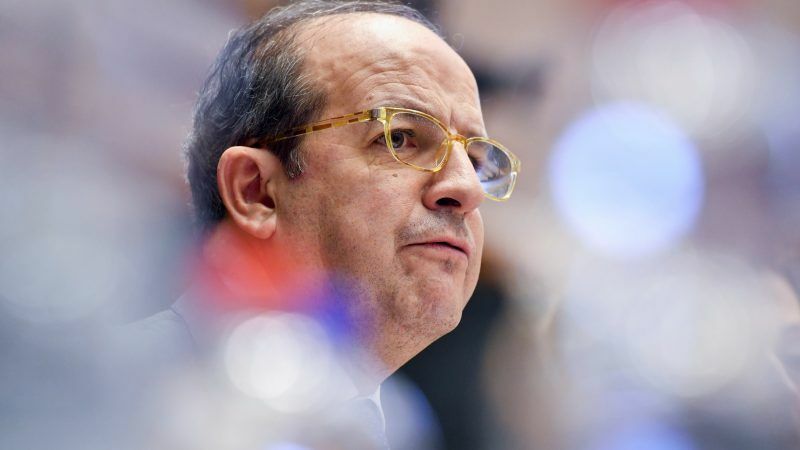 The European Commission’s analysis of clean air measures adopted at national level are at a “very advanced stage” but the final decision to launch infringement proceedings is “a political decision,” said Daniel Calleja Crespo, who recently came to Slovakia for the Clean Air Dialogue. Daniel Calleja Crespo is Director-General at the European Commission’s environment directorate. He spoke to EURACTIV Slovakia’s Pavol Szalai on 24 April 2018. Since 2009, Slovakia has failed to respect the Ambient Air Quality Directive. Another eight countries are concerned including Germany and France. When will the European Commission intervene to ensure the respect of European law? The Commission is taking its responsibility very seriously. We have to ensure that European law is respected. We are the guardian of the treaties. Therefore, Environment Commissioner Karmenu Vella organised on January 30, 2018 the Air Summit with the nine countries. His message was: You have to come up with concrete, specific and effective measures. The infringements last for a very long time, now we need to take action. It is up to each country to decide how it wants to act. All nine countries came up – despite the short notice – with specific measures. They are being evaluated on technical level and we will submit the conclusions to the College of Commissioners. On the technical level, we are making a lot of progress. Some countries are coming up with big contributions. The measures concern transport, agriculture, energy and industry. Afterwards the College will decide. When will you make the submission to the College of Commissioners? We are in a very advanced stage on the technical level. Then it is a political decision. Can you say if the Commission will decide this semester or this year? I think this year. But it is decided on the political level, not by the Commission services. There were signals that the Commission would decide in March or April, now late April [the interview took place on 24 April]. Slovakia has been violating the Directive for nine years already. The question is: How long does the Commission want to wait before treating this health and economic issue? The Commission wants to solve the issue. We are here to make sure European legislation is respected. Commissioner Vella said: I need to give this last chance to the governments. Is the Commission hesitating because big countries like Germany and France are involved? We have to ensure equal treatment of all countries in infringement proceedings. We are not interested if they are big or small, in the north or south. 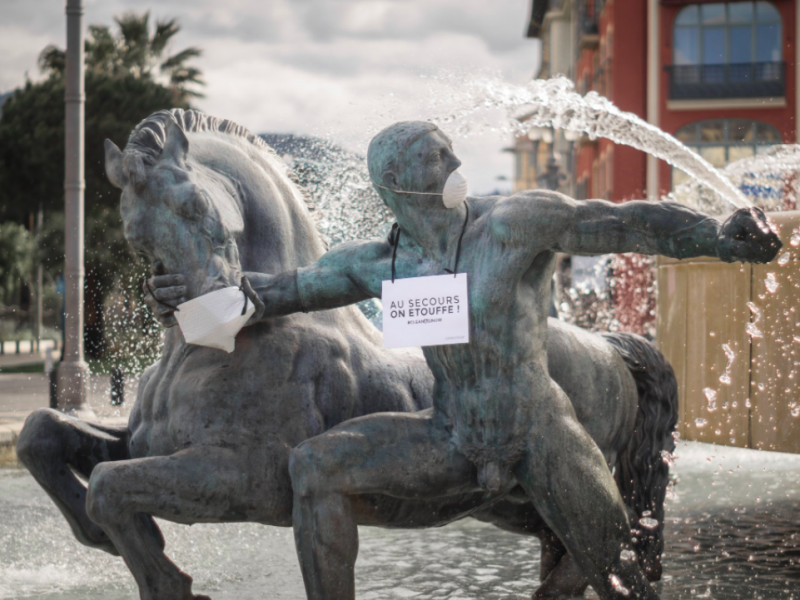 Statues in a number of French cities were adorned with masks on Saturday (31 March) to highlight what activists say is a failure to tackle smog and air pollution. The European Commission will reveal next month if France is among the countries that will face legal action. What has Slovakia promised to you? Compared to other countries, Slovakia has two issues. First, there is the measurement, and Slovakia is taking steps to improve the monitoring system. Second, there are problems with air quality in Bratislava due to transport, but the main problem is heating and particulate matters (PM). We discussed today (24 April) within the Clean Air Dialogue possible measures, concrete initiatives deployed, the cooperation with cities and various ministries. The Slovak government has updated our information. Our experts are examining this information. There is no single solution to this complex problem. Haven’t the governments had enough time to propose measures? 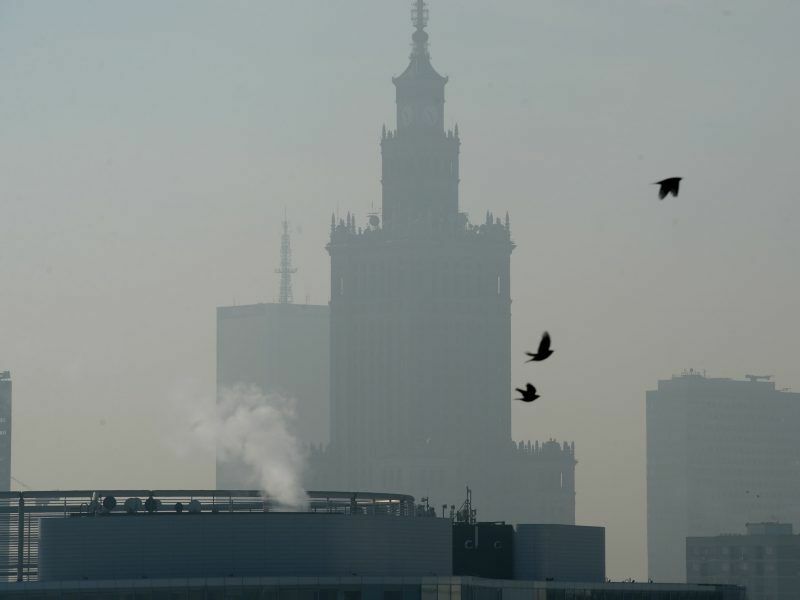 The Slovak Environment Ministry has been talking about the Clean Air Strategy for several months. It has been alerted by the Commission in 2009 already. Procedures take time. When we open a (infringement) procedure, we send a letter to the country, there are exchanges of technical information and meetings. If we are not satisfied, we opt for a reasoned opinion. If countries take measures, we also have to look into the results. 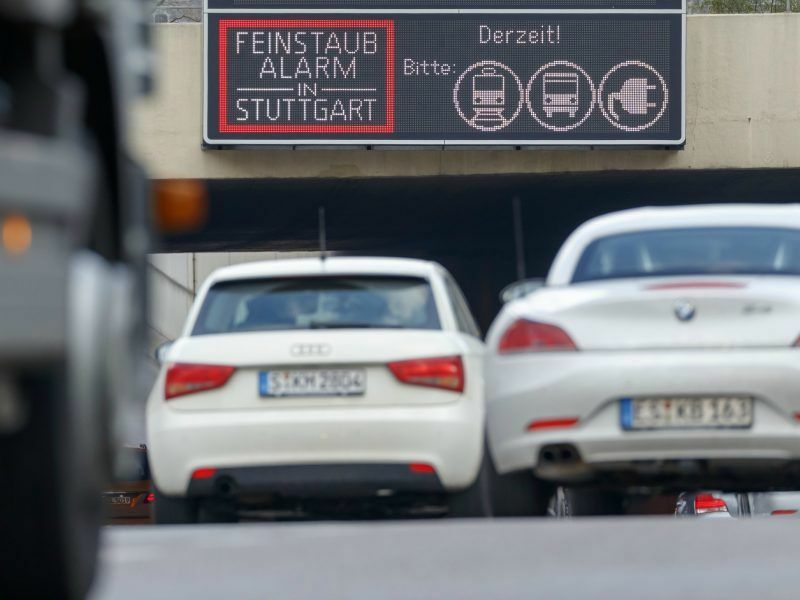 You mean the results in air quality or in implementing the promised measures? Both the results on the ground and the results in implementation. And in Slovakia, there has been an improvement in air quality. We see that some of the measures are delivering results. Are they sufficient? The Commission still wants more effective and concrete measures. Therefore, we have had today the Clean Air Dialogue with Ministries of Agriculture, Economy, Health, Transport and Environment. There were two ministers and four secretaries of state around the table discussing concrete solutions. 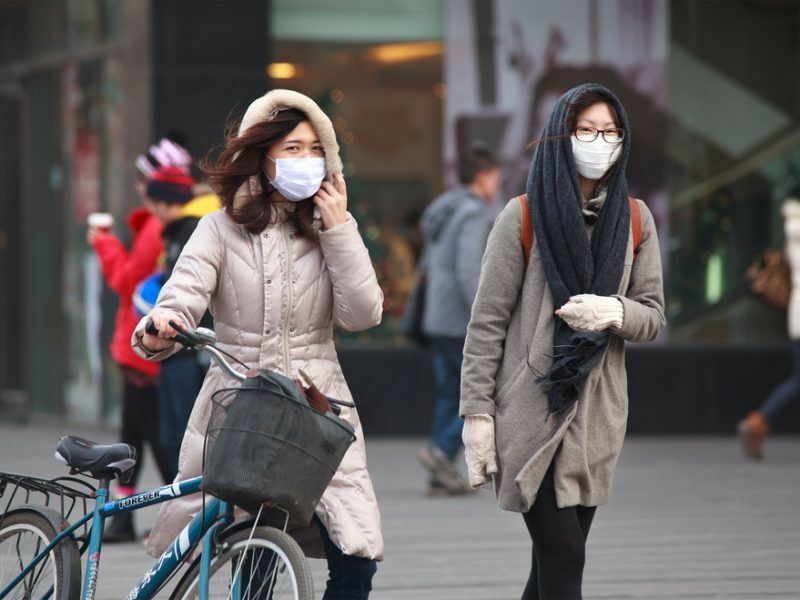 How does the Clean Air Dialogue differ from the Environment Implementation Review (EIR) which took place one year ago? At the time we heard the same story: the government will take steps and the Commission prefers dialogue to sanctions. We do both. We have a dialogue and if we have to take a legal action, we take a legal action. The first difference with the EIR is that the Clean Air Dialogue is focused on a specific problem. EIR covers nature, water, forests, waste. The second difference is that Clean Air Dialogues are about discussing concrete technical assistance. We have put in place a system of peer-to-peer review. Experts from other countries will come to Slovakia and explain what solutions worked in their countries and how they can be implemented here. I suppose they will not come from countries in the infringement procedure. They will come from countries with good experience. We have countries doing well in NO2 (mostly from transport), but not so good in PM10 (mostly from heating). In some countries, the problem is agriculture, in others monitoring. We will look for experts from countries that can help Slovakia with PM10 in the heating sector. We also have the LIFE program (EU’s financial instrument supporting environmental, nature conservation and climate action projects). Lesser Poland Voivodeship is working together with Slovak and Czech regions to replace the heating systems. With 10 million euros from LIFE, we have mobilised 700 million euros for regional funding. This is a very successful program. When it comes to heating and transport, does the Commission think natural gas is the solution? Energy efficiency is very important, but also less polluting systems, renewables, clean fuels. During the IER, we said Slovakia should eliminate harmful subsidies to brown coal. It’s a set of measures. Is it good to use biomass for heating, especially in a country like Slovakia with a lot of legal, but also illegal logging? The Commission does realise that illegal logging is a very serious threat to biodiversity. We had to take legal action in the case of Białowieża Forest and the Court of Justice ruled (that logging in the forest in Poland is illegal). We need appropriate energy mix for each country. Each country has different strengths and weaknesses. If a country goes big in biomass and harms biodiversity, it is not a good solution. It’s a question of balance. In the end of the day it is about less CO2 and air pollution, and more energy efficiency and renewables. This is linked to circular economy, which is about transforming an environmental threat into an economic opportunity. Slovakia has a problem with circular economy. 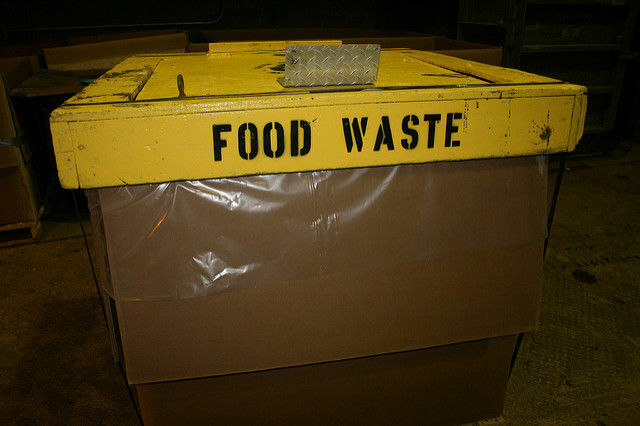 The Environment Ministry has already admitted we will not fulfil the 50% goal of recycling municipal waste by 2020. What is Commission’s reaction to Slovakia’s breaking European law? First, Slovakia has very strongly supported the revision of the European waste legislation, because it sees is an opportunity. It is the most ambitious change ever made on the EU level in this area. By 2035, we will recycle 65 percent of municipal waste and limit landfilling to 10 percent. We will have a common methodology and strong extended producer responsibility. Second, we are not in 2020 yet. The year 2020 is basically tomorrow. The Commission takes its decisions when deadlines come, not based on predictions or forecasts. We have to follow the law. In 2016, Slovakia recycled only 23% of municipal waste. It has to be at 50% four years later. Countries at the lower levels have the biggest potential for growth. It is difficult to grow when you are at 50, 60 or 70%. It is also much easier if you have the political will and invest in this sector. We understand the Slovak government is committed, but it is not just about government action. The private sector is very interested. We have to open new opportunities. The waste of a company can become the raw material of another one. If by 2020, legal obligations are not met, the Commission will act. But in the meantime, we have to monitor and support efforts of all countries to make sure they reach the targets or go in the right direction. The waste legislation has been watered down by the Council. Are you happy with the result? I disagree. It has been the most ambitious reform of EU legislation ever on circular economy. We will have huge savings for companies, new jobs, more growth and opportunities. The Commission proposed higher targets. The Commission’s targets have been respected. It was agreed (in the trialogue) there would be five more years (for reaching the targets). For 2030, the targets have been watered down. We have to integrate 28 countries in different situations. Some are doing better than others, so we agreed to give five more years to those who needed them. It would be wrong to say targets have been watered down. It was a very difficult negotiation, we had seven trialogues. With the long-terms targets, industry can invest, and there is predictability.